This uncomplicated 18/0 Stainless Steel Dessert Fork provides you with a trendy yet simple design, enhancing both your tabletop setting as well as your food presentation. Stemming from the popular Amefa brand, the Moderno Z Dessert Fork is a slightly more affordable choice than the 18/10 Stainless Steel Moderno Dessert Fork. With elegant, simple lines, the Moderno Z Range is dishwasher safe and will suit any restaurant & hotel, no matter what the style. 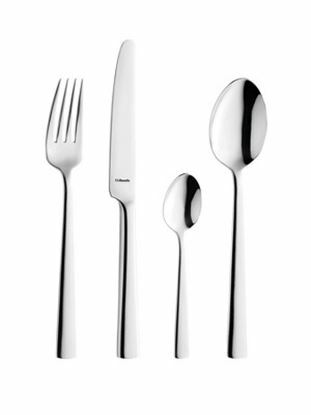 The moderno range is suitable for all courses, including starter, main course and dessert and will provide a sense of style and elegance to the table top whilst being comfortable in the customers hand.